I get asked this question almost daily at our garden centre — “Where are the Impatiens?”. For the answer, Mark Cullen says it best and offers his suggestions for alternatives to impatiens in your gardens and planters. This is from his website, www.markcullen.com/be-patient/. Once again we will be forgoing the use of impatiens in our gardens. Thanks to downy mildew (Plasmopara obducens), the impatiens-filled garden you once knew is overâ€¦at least for a while. I receive hundreds of questions each spring on the topic and my response is always the same: no impatiens this year. Fortunately, there are numerous other plants that will work as a stand-in option. Note: I was out and about at a few garden centres this past weekend and was shocked to see many of them selling Impatiens walleriana. DO NOT BUY THEM! Unless they are selling New Guinea impatiens (Impatiens hawkeri), avoid them like the plague. They may look nice now but Impatiens walleriana won’t last you through June. A good alternative will love part shade, a well-drained soil, decent moisture, and be suitable in containers. A really great alternative will provide the colour and long-lasting blooms, too. Keep reading. Look towards New Guinea Impatiens and SunPatiens (a new-ish New Guinea hybrid variety that’s taking off in the gardening world). 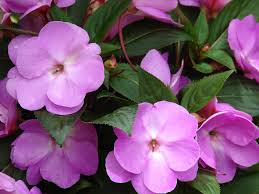 Thrives in all the same conditions as the former impatiens favourite but not susceptible to the crippling disease. Available in a wide variety of colours. 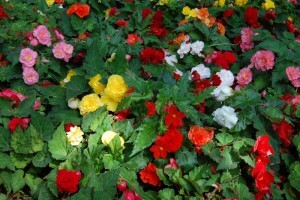 SunPatiens are notably different: as suggested by their name, they thrive in the heat of the sun. Another flowering beauty, begonias are available in not only multiple colours but varieties as well. With over a thousand varieties to choose from, you can’t go wrong. Loves the shade and will bloom all summer. They can be a bit finicky so read the label carefully â€“ they are all slightly different. Lends itself quite nicely to the hanging basket or outdoor container. 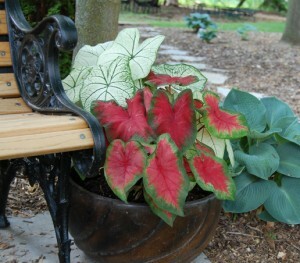 I always throw a few caladium tubers into the ground come spring. While not known for their flowering abilities, their foliage makes up for that. With such a large variety of colours to choose from, you’re sure to find something that fits into your space. Be sure to dig up the tubers and bring them indoors for the winter. 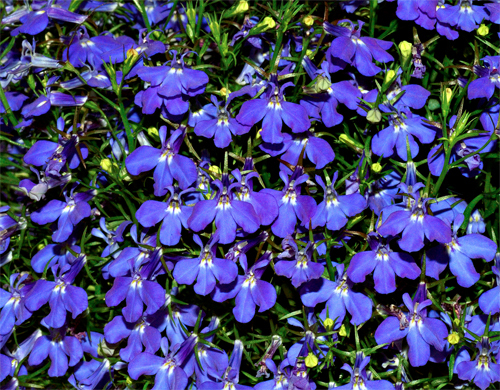 A great container plant, Lobelia thrives in the cooler areas of your yard. Can tolerate shade but prefers a little sun. 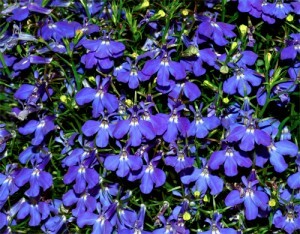 A great benefit to this plant is its low-maintenance qualities: it’s a plant it and forget it type of garden addition. All it needs is a bit of watering (especially in containers) during the droughty August conditions we often experience. 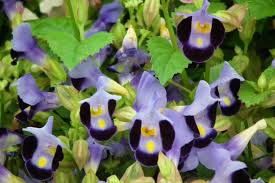 Also called the wishbone flower, Torenia will provide endless summer blooms. An excellent flower for the tall container or hanging basket. Keep in partial shade to shade and loamy soil. Keep soil moist during the droughty August times. Can tolerate a good amount of heat so keeping it against the south or west side of the house won’t be a problem. Feed with a mild fertilizer every two to three weeks to keep the blooms coming. You can create beautiful borders and containers this year without Impatiens walleriana. And it’s time you do so. Expand your annual garden species and change it up a little. You’ll be surprised at how much is out there when you delve outside of your comfort zone. This entry was posted in Flowers, GENERAL INTEREST, Lawn & Garden Care and tagged begonias, caladium, downy mildew, downy mildew in impatiens, impatiens, impatiens alternatives, impatiens walleriana, lobelia, Mark Cullen, plasmorpara obducens, shade-tolerant plants, torenia. Bookmark the permalink. WHY AREN’T THERE ANY BIRDS COMING TO MY FEEDER?